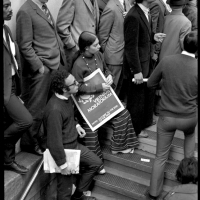 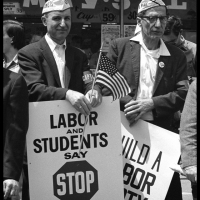 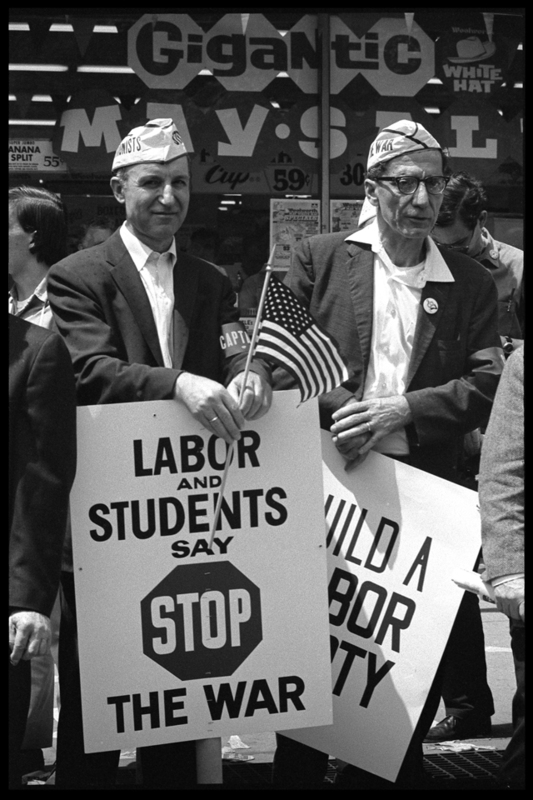 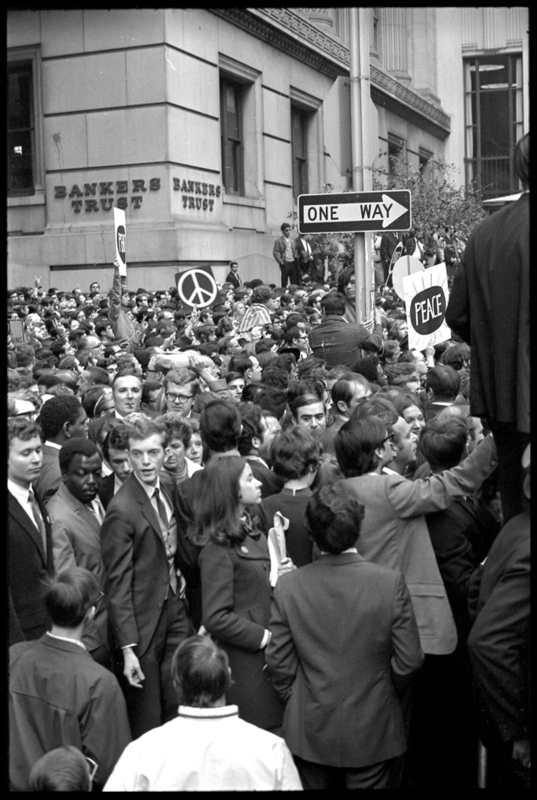 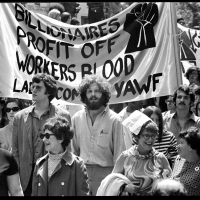 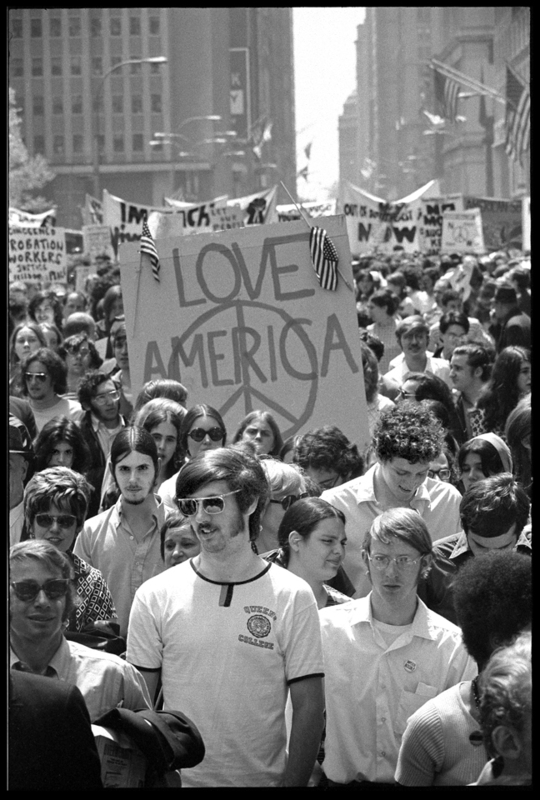 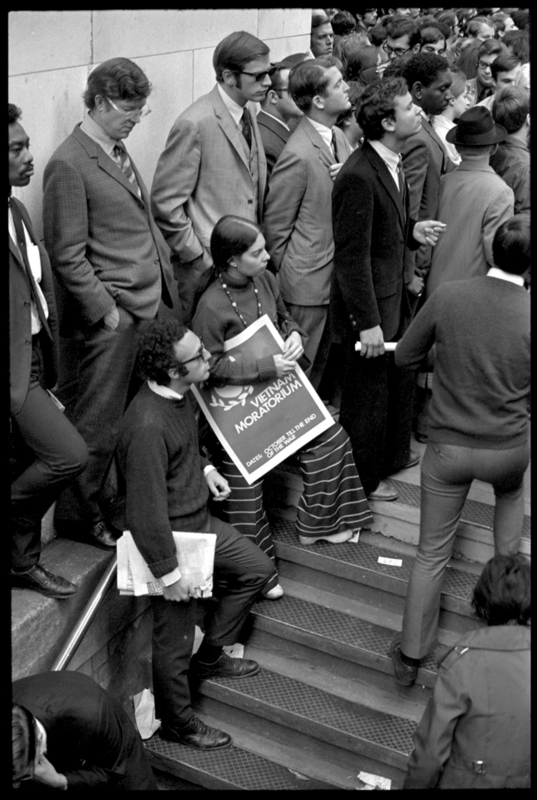 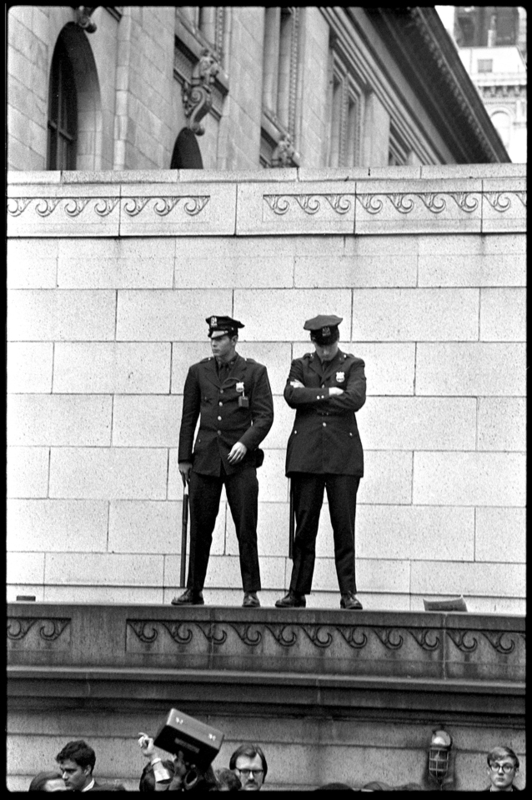 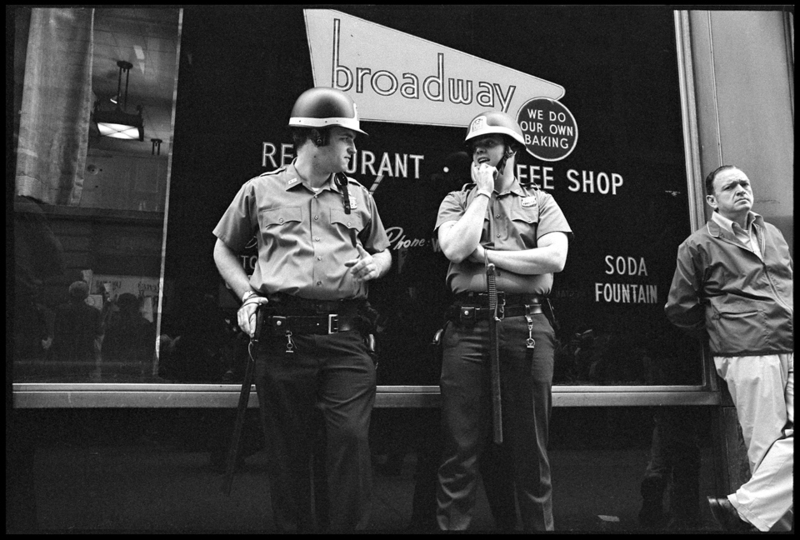 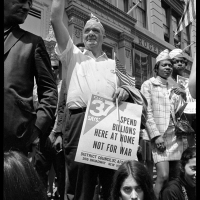 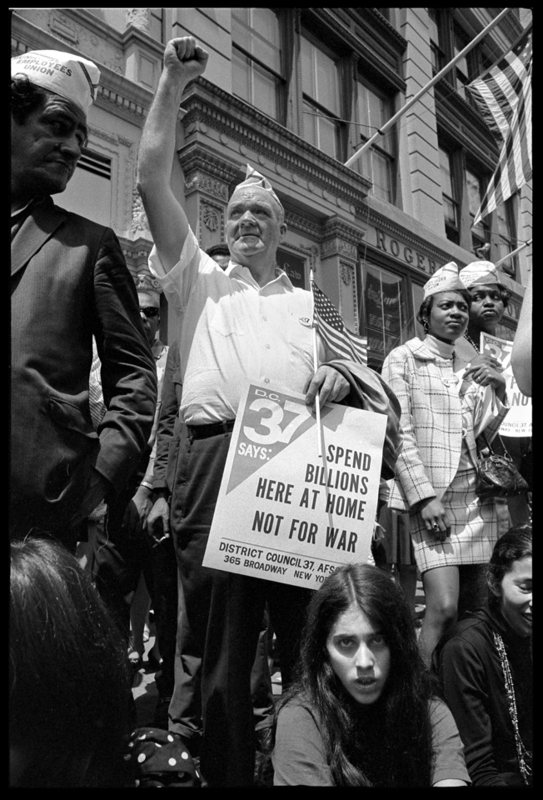 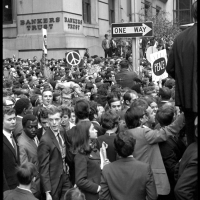 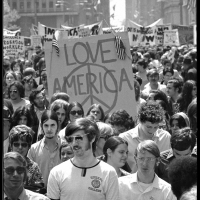 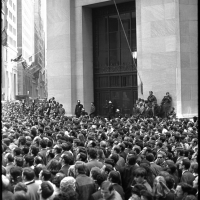 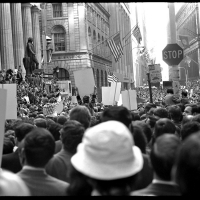 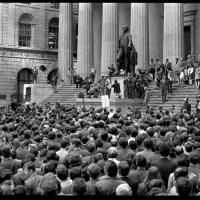 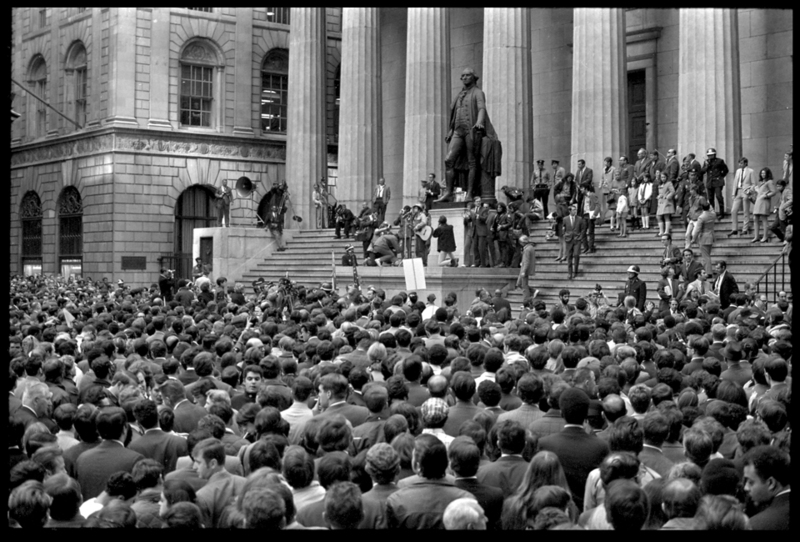 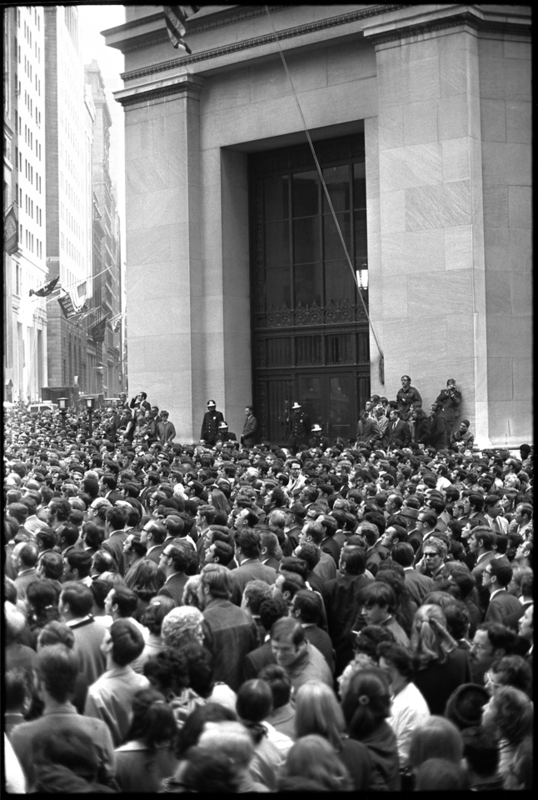 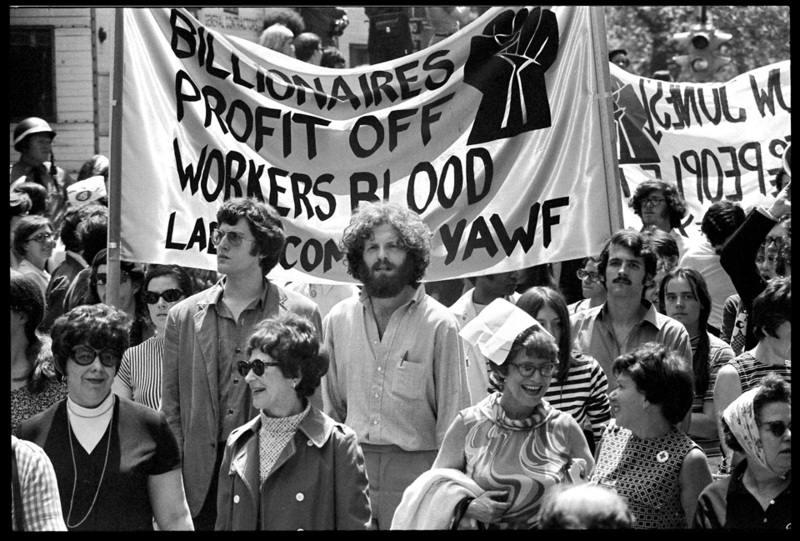 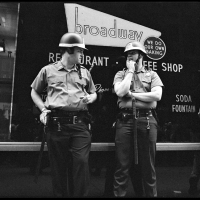 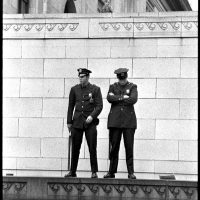 On October 15, 1969, hundreds of thousands of people took part in National Moratorium anti-war demonstrations across the United States; the demonstrations prompted many workers to call in sick from their jobs and adolescents nationwide engaged in truancy from school. 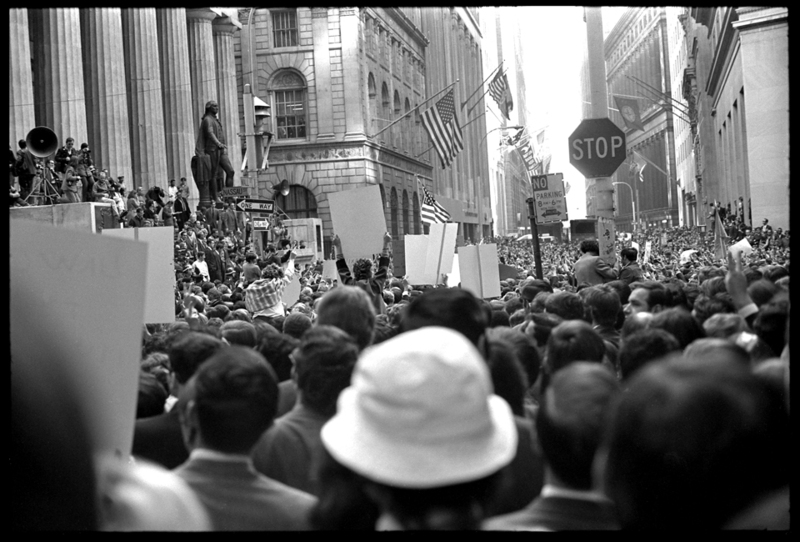 However, the proportion of individuals doing either who actually participated in the demonstrations is uncertain. 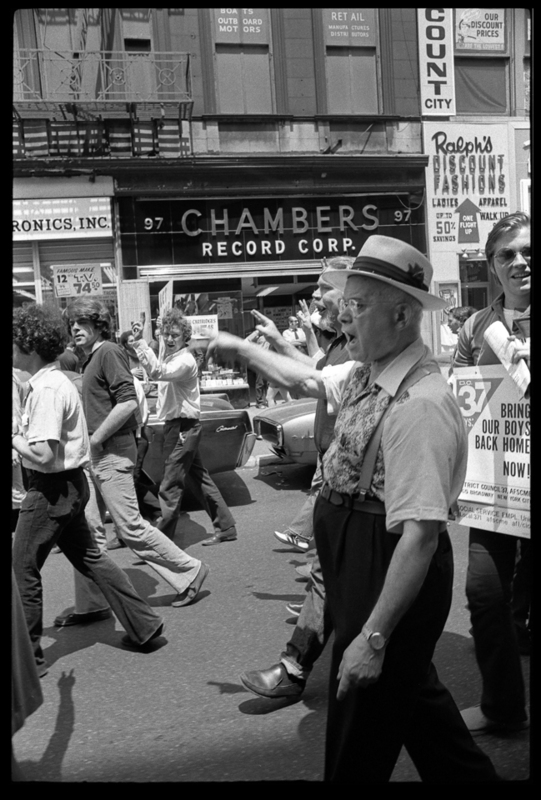 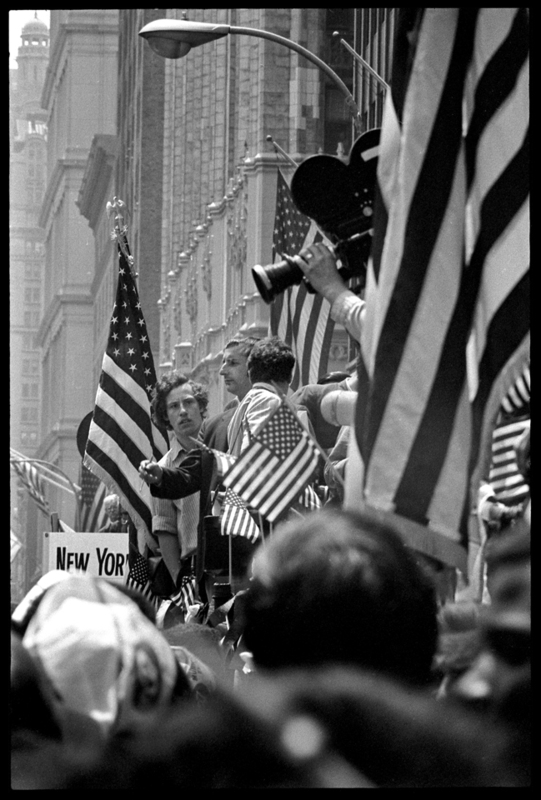 I was living in Brooklyn NY at the time and decided not to go to work and grabbed my cameras to document the event, starting out in the streets of downtown Brooklyn. 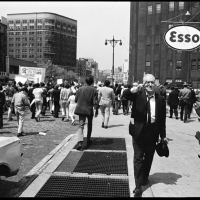 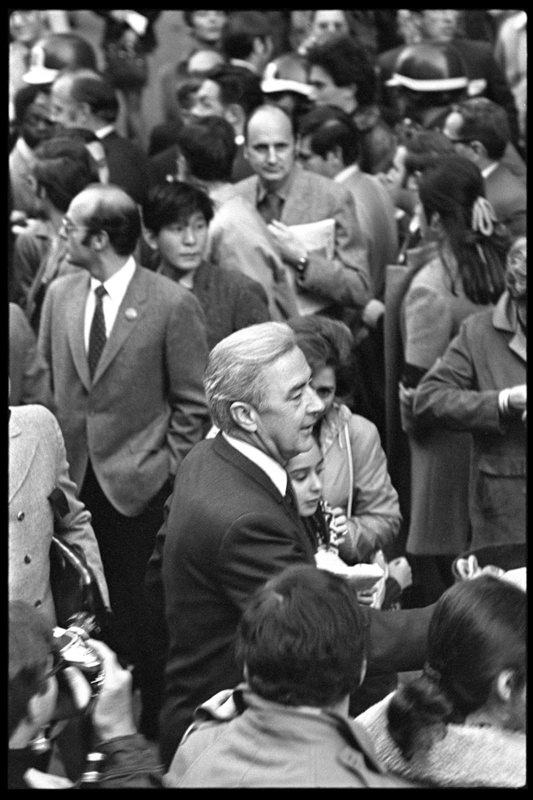 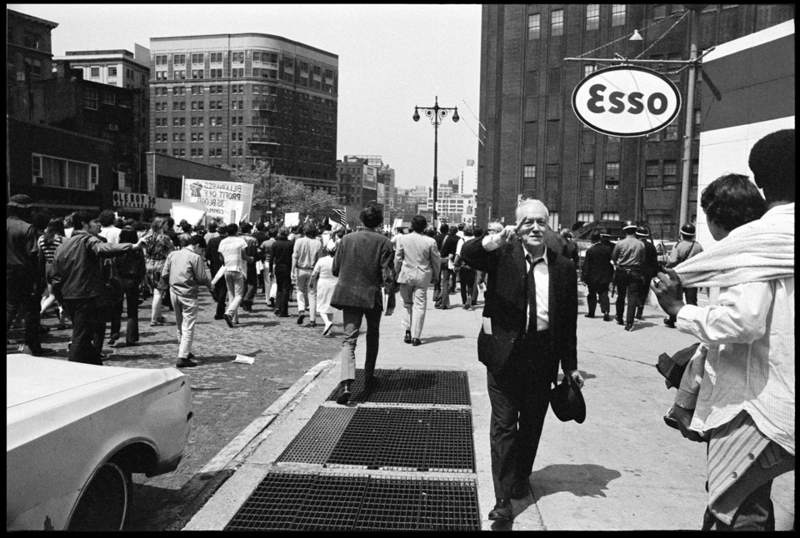 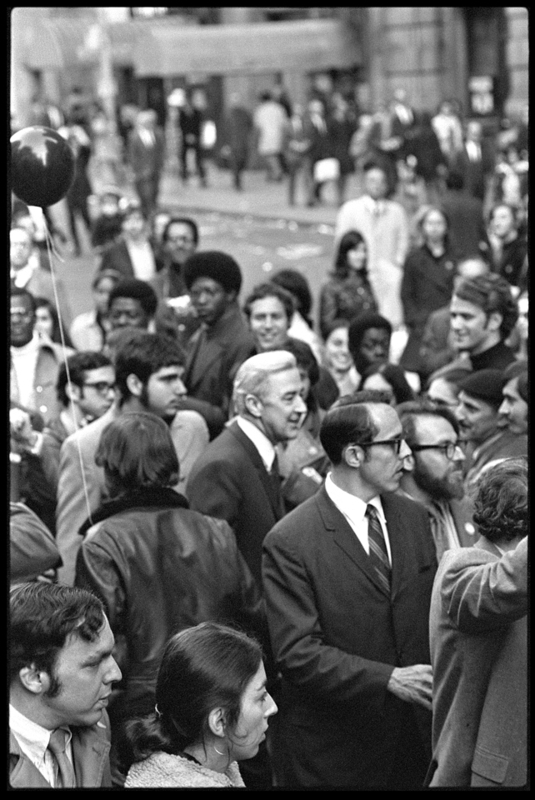 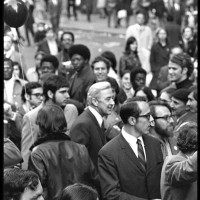 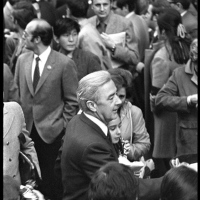 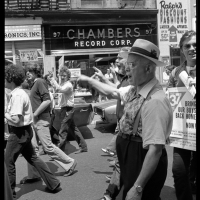 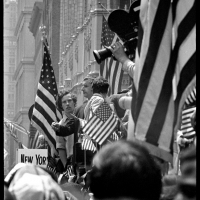 I followed the march across the Brooklyn bridge down to Wall Street where among others, presidential candidate Eugene McCarthy was speaking.